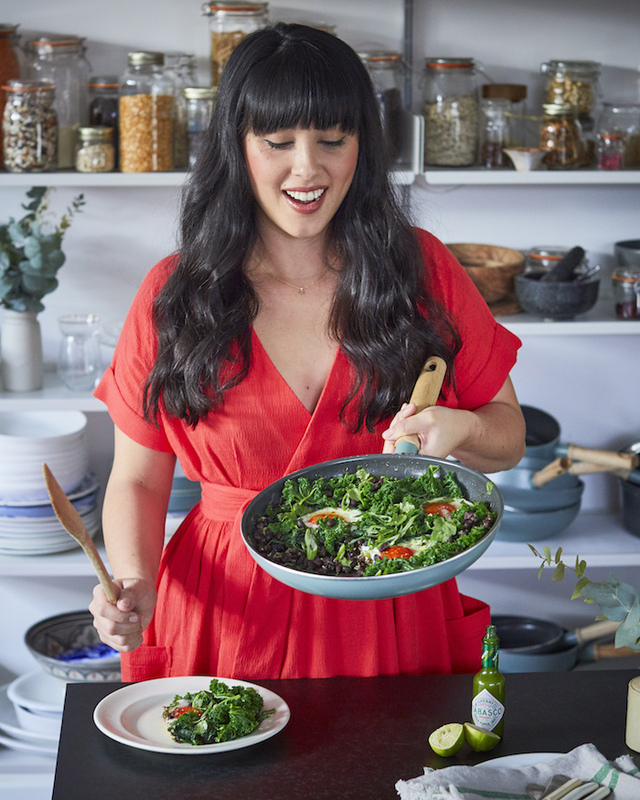 As Brits look to ‘go green’ in January, whether they’re taking part in Veganuary or simply looking for a healthier balance, Tabasco Brand is kicking off the year with a collaboration with Melissa Hemsley. Melissa shares her expertise on how to make nourishing and hearty dishes with a special-edition menu of healthy recipes, tips and hacks to help Brits eat better this year. The author and advocate of feel-good and fuss-free cooking celebrates seasonal produce and shows home cooks how to make the most of store cupboard essentials with Tabasco Green Sauce. Crispy butter bean and spinach soup – with a wonderful texture and taste, proving soups should never be seen as the boring option. Melissa and the brand will also be hosting a special one-off yoga brunch for Londoners on 27th January as part of The Hoxton Hotel’s month-long series of ‘Fresh + Fit’ events and workshops. The event kicks off with 60 minutes of strong, yet soft and playful vinyasa flow, led by one of London’s leading instructors, Sarah Malcolm. The yoga is followed by a well-earned brunch hosted by Melissa Hemsley. The menu includes a selection of Melissa’s healthy + hearty recipes featuring Tabasco Green Sauce including kale baked eggs and a hot halloumi salad. A limited number of tickets will be available from the Hoxton’s website and on EventBrite.